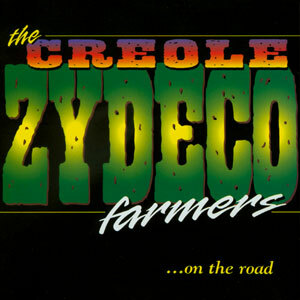 The Creole Zydeco Farmers is composed of veteran musicians who have cultivated their musical talents in Lafayette, Louisiana. Together for over 10 years, the band began their careers as back up musicians for accordion great Fernest Arceneaux and spent their early days picking up dates with such zydeco legends as Rockin’ Dopsie, and Rockin’ Sidney. Original members were Walter Prejean Sr., vocals, accordion and scrubboard; Morris Francis, vocals, accordion, scrubboard; Clarence “Jockey” Etienne, drums; Chester Chevalier, lead and rhythm guitar; James Prejean, bass guitar.